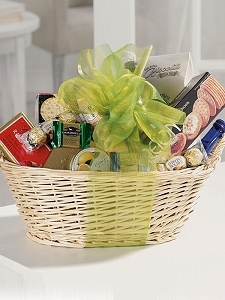 When you're not sure what to give, a gourmet food basket can be the perfect gift in a basket. 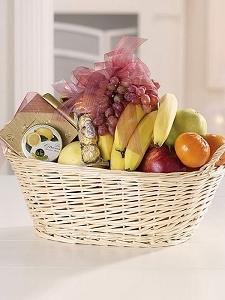 We fill our gourmet baskets full of fruit, cheese, crackers, and gourmet foods. We can also make custom movie, sports or themed baskets. These baskets make great corporate gifts and thank you's. 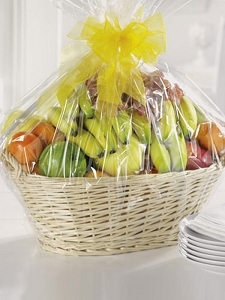 Be sure to call us at (303) 617-9596 for any special order baskets you have in mind.